Learning to sail from scratch on a big yacht at sea can be intimidating for some. 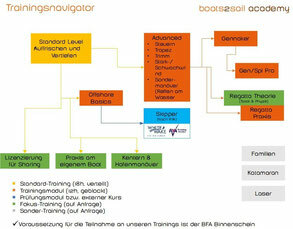 That is the reason why we have partnered with Boats2sail, a sailing school based in Rust by the Neusiedler lake. 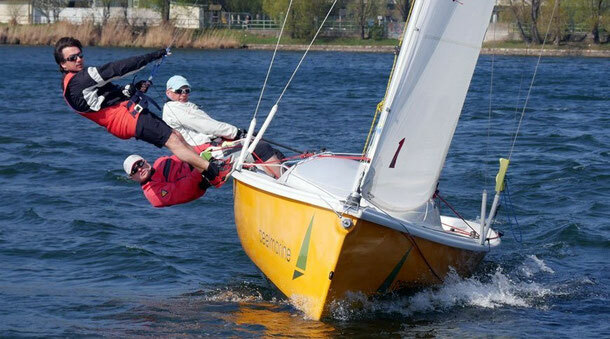 It is run by passionate and professional sailors with a long list of successes in Austrian and International dinghy competitions. Boats2sail offers the opportunity to start sailing onboard smaller yachts, easier to manage and operate. This allows our students to get accustomed more gradually to sailing, enjoying the learning experience even more. Not by chance the school's motto reads 'Segeln ohne Sorgen' = Sailing without worries! Whether you are looking to obtain the 'Binnen A license' or you want to step up for a gennaker handling course, Boats2sail has the right course for you! - You can decide to spend a fun weekend on the Neusiedler lake onboard a Sprinto or a Sunbeam 22 before making the step to go at sea. - Or you may have already been at sea on a big yacht before, and you would like to refresh your skills ahead of taking a course for the Skipper licence yourself. Talk to us and we will give you our professional advice on the most suitable path for you. If instead you already know how to sail and you would like to step up your skills, Boats2sail academy has a wide range of specialised courses: feel the thrill of reaching under Gennaker, learn how to best trim your sails or discover the secrets of regatta tactics. To find more info, click the on the logo below or give us a call!